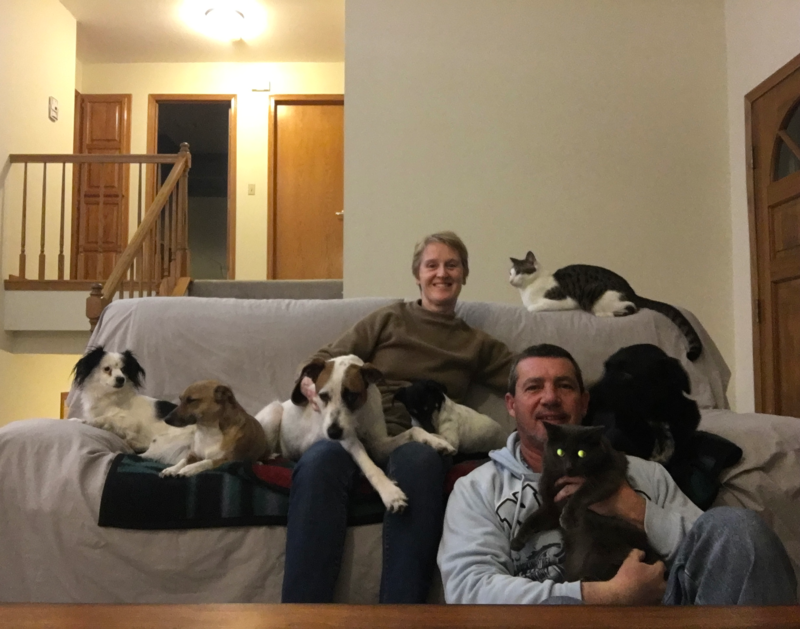 Lisa moved to the United States with her family and seven pets – five dogs and two cats. We asked Lisa about her pets and her experience with Petraveller. Here’s what she says. Lisa’s seven pets are like the seven dwarves from Snow White – each with a distinct personality. Jensen, a Labrador Cross, the oldest is protective, loving, cuddly, and loves to play fetch. Missy, the Irish Wolfhound Cross, is the sweetest of them all and still thinks she is a puppy. She loves wrapping her legs around Lisa’s waist and giving kisses. Frodo and Dash are feisty Mini Fox Terriers who will and have taken on intruders. Lilly is a Papillon Cross, who they rescued from the side of the road, and is a little dog with a big dog attitude and loves to fetch and snuggle. Priya is a Russian Blue kitty that the family found in a tree by a river. And finally, Merlin, a Domestic Shorthair cat, is Priya’s best friend and partner in crime. The pets have all settled in well after their inter-continental move. Jensen has discovered his love of boating and has learnt that it is not a good idea to play fetch on ice. Lilly and Missy have made friends with a squirrel and will sit and watch the squirrel for ages. Frodo and Dash hated the ice and snow in the winter, until Frodo discovered he loved eating snowballs. Priya and Merlin love exploring their new house and have made the entire carpeted floor their personal scratching post. Thank you, Lisa, for trusting us at Petraveller with your move. Here’s to more adventures with your pack!